I put this together a year ago then realised it was crap and stored it away in my Botchamania attic. It’s good enough for government work and I like the jobber montage at the end so that’s something. Adamlemania (the whole point of getting this set in the first place) is due soon. I humbly bow to Master Maffew. Also, DAT LENNY LANE indeed. Despite all the botches, I still really do miss WWECW. Poor Yoshi Tatsu could have been so much more if it had lasted another year (instead of being a jobber to the stars, he could at least be winning opening matches now). I’m still fucked off that they never gave Regal the title, but had Ezekiel Jackson as the final champion ever. Just…urgh. 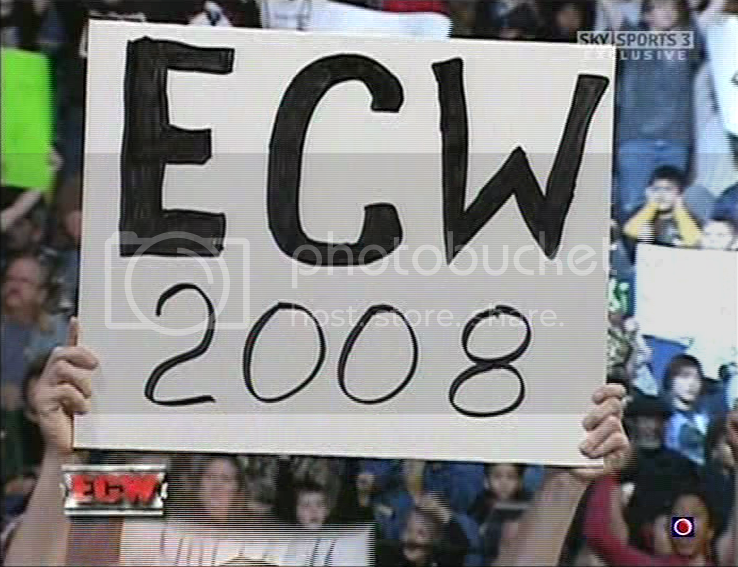 I miss WWECW as well. Something about it just felt… pure amidst all the convoluted messes of Raw and Smackdown. Just a solid wrestling show I could see at midnight on Friday nights, for one little hour. You know Punk put more effort on matches before his 2011 push when he botched. Show some respect!!! Lenny Lane is a goddamn LEGEND. Oh man, the way Tony Chimel announced Super Crazy always put a smile on my face. I find it even funnier than Chimel’s “Rated-R Sooooooperstar”. I think he needs a cigarette after every time he says “super”. Never saw the TNA clip with the “Knock knock…Who’s there?…Braden Walker” chant before. That’s pretty awesome. This was funny, not crap. Thanks for digging it out of the attic. And next time you’re up there, please bring down the Christmas tree. Had to pause watching the video to correct you about something. THat spot in the tag match with Henry/Hardy vs Miz/Morrison. You said the ref screwed up and lost his job. Not true. THE MIZ screwed up. He was supposed to come in and break up that pinfall attempt but instead he just stood there on the apron like a lummox. The ref did the exact right thing and kept counting but he was made the scapegoat for Miz’s ineptitude. Except that Morrison successfully covered for Miz’s mistake by getting the shoulder up, and the ref counted the three anyway. So even if he was expecting a specific finish, he screwed up the improvised change. Watch it again, Ryan. Morrison DID NOT get his shoulder up before the three. He was expecting Miz to come in. He reacted to the lack of Miz but a half a second too late. The ref did his job. He counted three. Miz is the one who screwed up. The ref absolutely did the wrong thing. He knew that the match still had more time, and that this was not the right time for the finish. He knew that Mark Henry hadn’t tagged into the match yet, and so if Hardy got the pin, then he effectively beat 2 men on his own (as the commentators pointed out). You pretend Morrison got his shoulder up. Yes, you still end up on Botchamania, but 1) Morrison looks like the one who botched, and 2) you get to keep your job. As it turns out, Morrison did in fact kick out, so no one would even notice the botch if the ref had just stopped at 2. You’re right. The ref made a fast count anyway. Someone needs to tell him that it’s a work and that you can actually slow your count down if the partner screws up to give the wrestler time to kick out. I for one don’t miss WWECW. It’s role of showcasing new talent is filled by Soooooooooperstars. Check out the WWF logo when Maffew featured David Owen. lol Braden Walker, least people remember you. You do yourself a disservice maffew, I thought this was pretty good actually. Anyone know the context behind Chavo and his jellyfish?